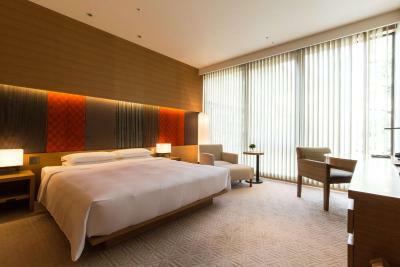 Lock in a great price for Hyatt Regency Kyoto – rated 8.7 by recent guests! Breakfast buffet was very good. Rooms small but very comfy beds and quiet. Excellent SPA treatment. Gorgeous hotel. Shower was to-die-for. Staff was amazing. Loved the happy hour daily with 50% all drinks! 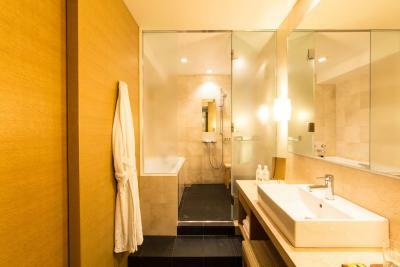 Very clean, polite and halp full staff... nice decoration..., and wonderful toilet in the room. Enjoy..
Great location, beautiful facilities and rooms (beds, linens, bath). Excellent service and restaurant. Also enjoyed the "extras" such as free champagne happy hour and Geisha performance. Also less than 1/2 the price of Four Seasons and Ritz Carlton. The bed was very comfortable and the staff were excellent. 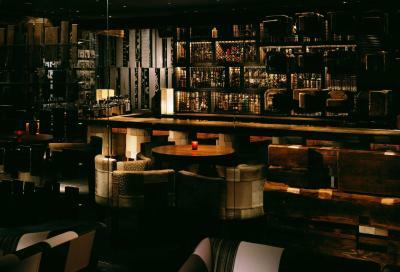 Very clean, good taste (minimalist) decoration and impeccable service. The breakfast buffet was totally worth the price. 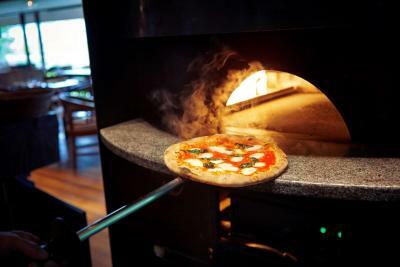 I suggest you also try their Italian restaurant for dinner. We enjoyed the room so much that we didn’t want to leave. It was very comfortable and clean. 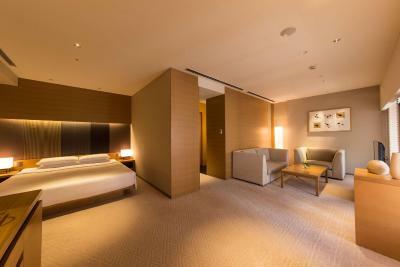 It was also very spacious which was nice, having come from smaller hotels in Tokyo. 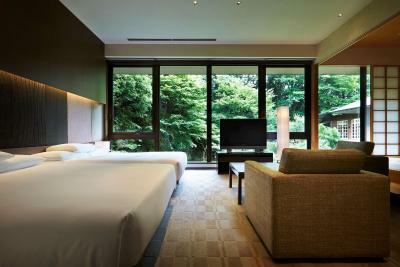 Hyatt Regency Kyoto This rating is a reflection of how the property compares to the industry standard when it comes to price, facilities and services available. It's based on a self-evaluation by the property. Use this rating to help choose your stay! 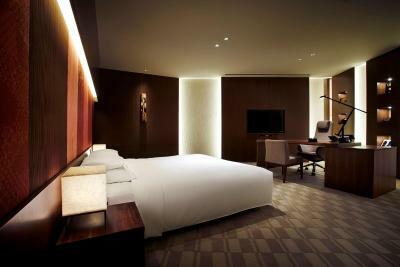 The stylish Hyatt Regency offers spacious rooms, free Wi-Fi at the lobby and 3 restaurants on just a 5-minute drive from Kyoto Station. 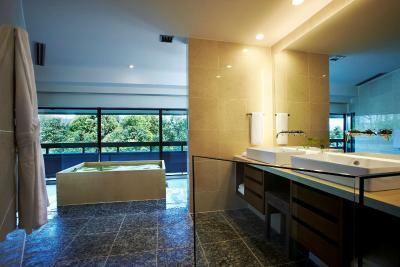 It features a fitness center, spa services and rental bicycles. Private parking is offered on site at an additional charge. 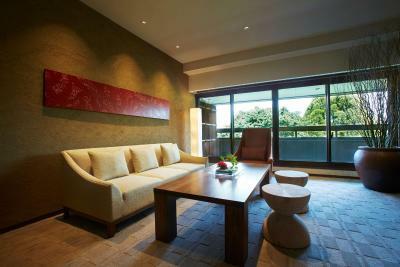 The elegant rooms are decorated in light natural tones, and furnished with a 32-inch plasma TV, a DVD player and a safe. A mini-bar, nightwear and slippers are provided. 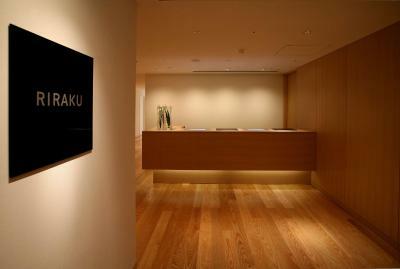 Guests can treat themselves to shiatsu, acupuncture, aromatherapy and other treatments at Riraku Spa. 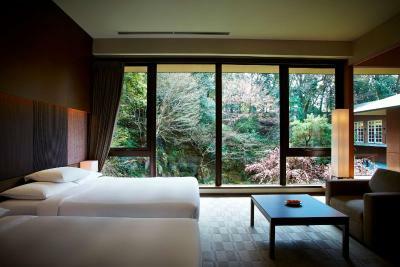 The Kyoto Regency Hyatt offers a 24-hour concierge, a souvenir shop and baby-sitting services. 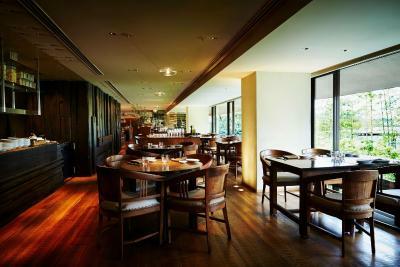 Restaurant The Grill features French grill dishes, while Touzan serves Japanese cuisine and Trattoria Sette offers Italian food. 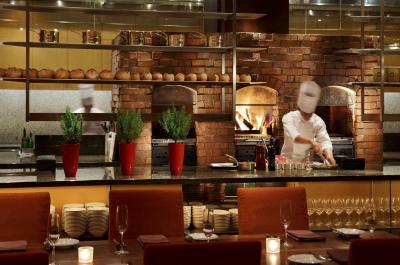 The Hyatt has a bar, a pastry shop and 24-hour room service. 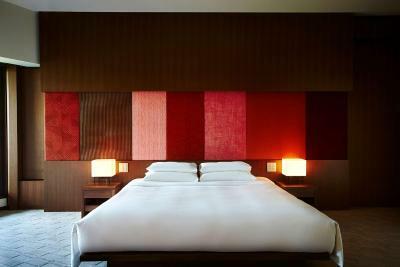 The Hyatt Regency Kyoto is a 5-minute walk away from Shichijo Station. 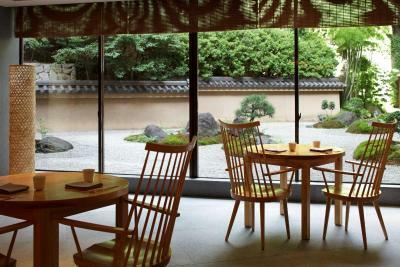 It is a less than 5-minute walk away from Kyoto National Museum and Sanjusangen-do Temple. From Kyoto Station, an express train can take guests to Kansai International Airport in 75 minutes. 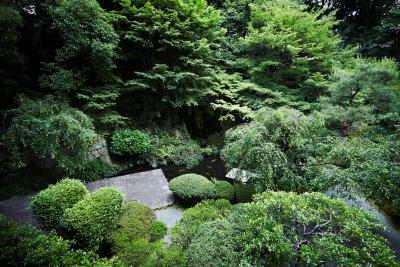 Limousine buses also depart from Kyoto Station for Osaka Itami Airport and the bus ride takes approximately 55 minutes. 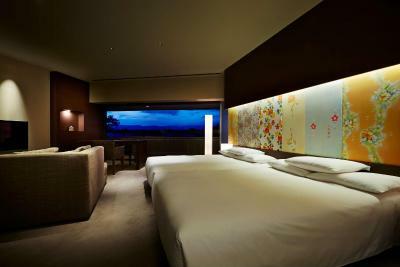 When would you like to stay at Hyatt Regency Kyoto? 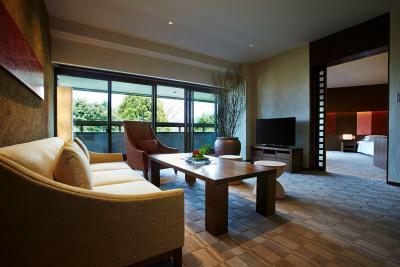 This elegant room is decorated in light natural tones, and furnished with a 32-inch plasma TV, a DVD player and a safe. A mini-bar, nightwear and slippers are provided. 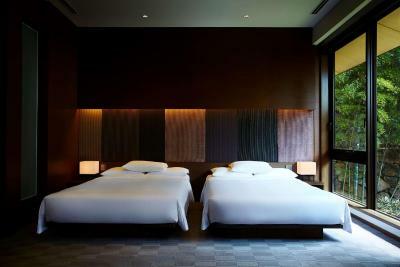 The hotel will prepare an extra bed or a sofa bed for a third guest. 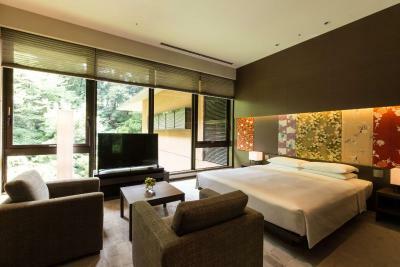 This elegant, spacious room has a balcony and is decorated in light natural tones, and furnished with a 32-inch plasma TV, a DVD player and a safe. A mini-bar, nightwear and slippers are provided. 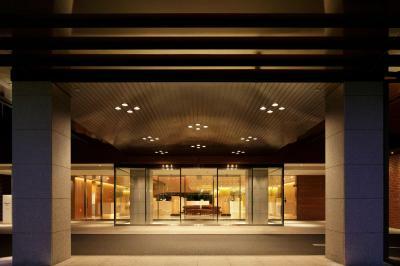 House Rules Hyatt Regency Kyoto takes special requests – add in the next step! 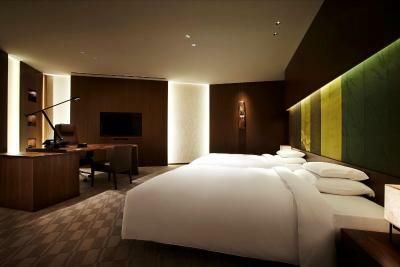 Hyatt Regency Kyoto accepts these cards and reserves the right to temporarily hold an amount prior to arrival. Guests are required to enter their full name in English when making a booking. Overpriced , maybe caused by Easter Weekend . 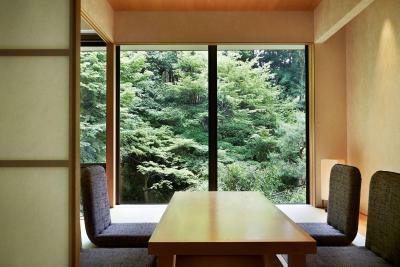 Modern architecture, good and valuable materials on excellent design. Authentic hospitality . It was not a luxury hotel. Overpriced! It was a nice stay. I recommend this hotel. I find there is minor removable stain on the quilt cover. The staff service is very good. They helped us to order taxi to pick us up from other location due to raining. 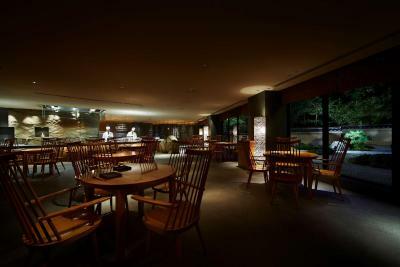 I like the breakfast in Tousan Restaurant. It is delicious. Over priced. Way too expensive compared to the service and accommodation quality. Not all staff speaks English and some were not very service and customer oriented. Staffs are nice and helpful. Foods are good.